London Hotels, Guest houses and bed & breakfast accommodation in around near Sloane Square all with real-time, confirmed online reservations. 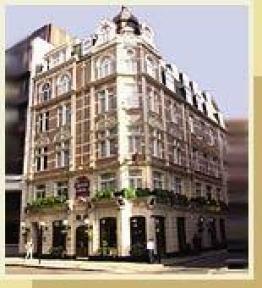 London Hotels in Sloane Square offering cheap rates for business, leisure, family holidays, vacations. Sloane Square is a small hard-landscaped square on the boundaries of the fashionable London districts of Belgravia and Chelsea. It is located 1.7 miles (2.8 km) south west of Charing Cross. The square lies at the east end of the trendy King's Road and at the south end of the more conventionally smart Sloane Street. Set in one of the most prestigious locations right in the heart of London The Cavendish offers the ultimate in luxury and convenience for visitors visiting London on business or pleasure. 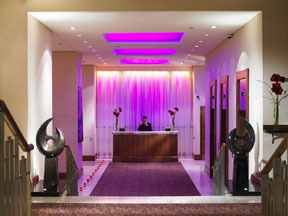 Located in one of the oldest and most fashionable areas of London Sanctuary House is perfect for business or pleasure. Its location close to many of the capitals landmarks and shopping areas makes it the ideal base for visiting London.